The conventional wisdom is that next Tuesday’s special election in the 36th Congressional District is Janice Hahn’s to lose. And Hahn is fully capable of doing just that. 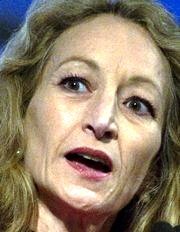 L.A. City Council member Hahn was declared the front runner from the moment she launched her campaign, within hours of former Representative Jane Harman’s retirement. Secretary of State Debra Bowen was slower off the mark, waiting a week for polling results before making her announcement. She’s been seen as the underdog ever since. If it’s an all-Democratic runoff between Bowen and Hahn, it’s hard to say who has the advantage. Hahn has more money and more endorsements. But in the top-two system, the swing vote could become Republicans and independents in Torrance and Redondo Beach, who may lean to Bowen. Hahn’s best hope may be that Bowen doesn’t make the runoff. That’s unlikely, but it could happen. 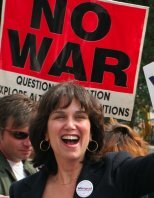 Bowen’s natural base – the Westside progressive vote – is split between herself, anti-war activist Marcy Winograd, and (maybe) Hollywood agent Dan Adler. Hahn’s base – the Harbor-area labor vote – is united behind her. The Marcy factor: Winograd, who twice ran against Harman’s “Bush-lite” agenda, is back for a third try. Her problem is that Hahn and Bowen agree with her on her signature issue, getting out of Afghanistan. Still, a lot of people have gotten used to voting for her. She won 41% of the Democratic primary vote just last year, so she has an impact. At first, Winograd was leaning against running. But a clever ploy by Hahn and John Shallman, her Machiavellian consultant, drew her into the race: Hahn challenged Bowen to sign a pro-Israel pledge, which also renounced some of Winograd’s anti-Israel rhetoric. Bowen didn’t have much choice but to sign it, but doing so foreclosed the possibility that Winograd would stay out of the race and back Bowen. Hahn effectively baited Winograd into running. If Bowen somehow misses the runoff, the pledge will be the story of the campaign. GOP and the “Top Two” factor: On the Republican side, Craig Huey, a direct-mail entrepreneur, has put $500,000 of his own money into a Tea Party bid. Though no one had heard of him before, he may wind up the top Republican in the field. 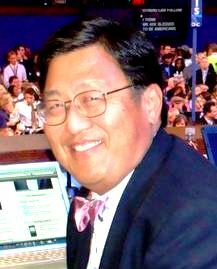 There’s also Mike Gin, the gay, pro-choice Republican mayor of Redondo Beach. He’s put in a decent showing, but he may just be building up name recognition to run for county supervisor. It’s hard to see how any Republican gets into the runoff. Democrats have a 45-27 registration advantage, and the Republican vote is split among six candidates. But that’s why they have horseraces. That said, Hahn is all but guaranteed a spot in the runoff, and will likely finish first on Tuesday. Bowen has to work for it a little, but will probably finish second. Janice vs Debra: Hahn would have several advantages in the July 12 runoff, including the support of the L.A. County Federation of Labor. The Fed’s get-out-the-vote effort is formidable in off-year and low-turnout races. But she’s got some weaknesses, too. She lost a campaign for the same seat in 1998, lost the primary last year for lieutenant governor. She’s termed out in two years and has been searching for the next job, and hasn’t been picky about what it is. Before the Congressional seat opened up, she was mulling a run for city controller. Voters may catch a whiff of opportunism. The Hahn name still carries some clout in L.A., but it’s diminishing. And most of this district isn’t in L.A. It’s in Torrance and the beach cities, where voters tend to be wary of L.A. politicians. Bowen’s base is more affluent, pro-environment, and pro-trial lawyer. She’s from Marina del Rey, and she figures to do well in the coastal areas. She tends to be cautious and reserved to the point of unapproachability. Hahn is a better retail politician, but Bowen is a much better wonk. Bowen is being outspent. An independent expenditure committee that represents malpractice insurance carriers has put in $100,000 to defeat her. In a traditional Democratic primary, she would probably lose the nomination. But in the top-two primary, she gets a second chance. Westside vs. the Harbor: With Winograd out of the picture, Bowen? would be able to consolidate her support on the Westside and in the more affluent beach cities. Hahn will have the Harbor. The battleground will be in between, in conservative Torrance and Redondo Beach. 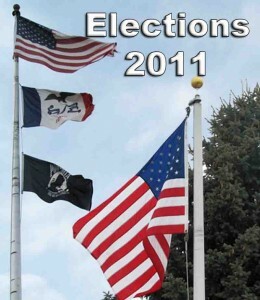 Hahn has more local endorsements, but Bowen probably has more appeal for independent voters. She had a reputation as an “independent Democrat” when she represented the South Bay in the Legislature in the 90′s. She’s also more focused on good-government issues, which may have some crossover appeal. Hahn will be closely identified with labor and Los Angeles – two strikes among conservative suburbanites. Hahn will probably be hoping that Republicans and independents don’t show up at the polls, and they may not. But if they do, they could end up swinging it to Bowen. There’s still a lot of campaigning left to do. It’s been relatively tame up to this point, but it should get a bit nastier in the runoff. Gene Maddaus, who covers politics for the LA Weekly, has led the pack from the beginning coverage of the race to replace former Rep. Jane Harman. His previous analysis for Calbuzz is here. When it comes to contributions for good causes, the tightwad tyrants who manage the Calbuzz Department of Budget, Finance and Kicked Back Expense Accounts make Leona Helmsley look like Bill Gates. As far as this miserly pack of scumbags is concerned, ketchup is still a vegetable, cat food can be an excellent substitute for sirloin and Scrooge had it right on that whole prison-workhouse thing. So you can imagine the buzz of astonishment that raced through the newsroom as word spread Tuesday that the green-eyeshade types have decided to dip into our vast endowment and make a low four-figure donation – the first in Calbuzz history – to the newly established Kam Kuwata Award for Political Involvement. Beginning Spring 2012, the Jesse M. Unruh Institute of Politics at USC will offer an annual award for a student or students whose academic work, political involvement, and civic engagement has prepared him/her for the valuable experience of working on a political campaign. The Kam Kuwata USC award will be given to a student or students who have demonstrated a strong interest in campaign politics and provide them with financial support to work on behalf of a candidate or cause that inspires them. You can learn more about the deal here. 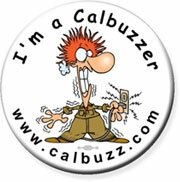 Just don’t forget to write a check once you do; hey, if Calbuzz can afford One Large, you sure as hell can, too. “Just don’t start thinking this is going to be some kind of regular thing,” Controller Penny added. A few weeks after introducing his budget proposal, Brown met privately with Democratic legislators. 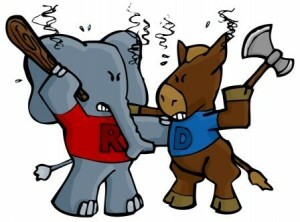 The spending cuts were, as expected, causing distress among Democrats, though they were going to pass them. The tax extensions were even more of a problem; the Republican votes were still not there. When he was done making his presentation, according to people in the room, someone asked: “What happens if Plan A fails? What is your Plan B?” Brown didn’t flinch. “I believe in the Hernando Cortes approach,” he said, invoking the Spanish conqueror. “When you hit the shore, burn the ships. There is no Plan B.” The lawmakers sat in disbelieving silence. But that remark was borne out after the collapse of the budget talks; it was not clear that Brown knew what to do next. Hernando Cortes, indeed. Personally, our favorite part of the piece derived from a cheap lunch interview Brown did with Adam and Times politics and cultural sniping columnist Maureen Dowd. Eighth decade or not, Brown’s mental acuity can be imposing. Sharing a turkey sandwich with me and Maureen Dowd, the New York Times Op-Ed columnist, at a hotel meeting room in Anaheim not long ago, Brown started reminiscing about his 1992 campaign for president. “In 1992, I gave a speech in Philadelphia — which you didn’t cover, I remember you were not there,” he said, looking at me pointedly. He turned back to Dowd. “Neither were you,” he said. Brown not only remembered the year of the first New York Times Magazine profile of him (1975), he remembered who wrote it (Richard Reeves) and the theme of the piece, or at least the way Brown read it (Brown was smart but unlikable). We like the anecdote because it brought back memories of the 1992 New York presidential primary, which top Calbuzz executives back then fiercely competed in covering. After tagging along with Brown for a couple days, the buzzards broke off briefly to follow Bill Clinton, when he went to Levittown for a big rally and a terrific speech. A few hours later, we again caught up with Brown, who by this time was in Soho, in the middle of conducting the first online chat in an American political campaign, one of a number of ahead-of-his-time events dreamed up by Brown manager Joe Trippi. When we walked in, Brown was tapping away on his keyboard, but glanced up, saw us and asked, in all sincerity: “Where have YOU been?” making clear his world view that if you aren’t hanging with Jerry, you don’t really exist. Maria hits the road: Far be it from us to sound insensitive, but amid all the commentary about former First Lady of California Maria Shriver dumping ex-governor Arnold Schwarzmuscle, all we can say is: what took so long? TMZ’s coverage seems to have the ring of truth. That said, we have to admit that the big lug’s made some really entertaining movies, as indisputably proven by this terrific 10-minute You Tube video reprising Arnold’s top 160 big screen quotes. It’s a useful typology of the electorate because a) too many analysts, especially on TV, ignore independents altogether and b) when talking about independents, it’s important to understand that they may be wildly dissimilar from one another, depending on the issue or the candidate in question. Maybe – we can only hope – numbskull political writers and analysts who conflate “independent” with “moderate” will get the message: these two groups are not the same. One reflects party identification (or registration), the other is a measure of ideology. Moreover, in applying the Pew typology to California, analysts should use caution: Pew and most national pollsters use party identification to classify voters, in part because some states do not have party registration and it’s therefore impossible to label voters by their actual registered status. But in California, we have party registration and we classify voters as Democrats, Republicans, Decline to State and others (others being largely irrelevant in statewide races). Our “independents” are actually Decline to State, or DTS. You can’t understand California elections if you don’t get the difference between our “independents” and the bloc of voters Pew and national pollsters and analysts are talking about. Party ID versus Party Reg: In the final pre-election poll by the Los Angeles Times and the University of Southern California, October 13-20, 2010, Democrat Jerry Brown was leading Republican Meg Whitman 52-39% among likely voters. The final outcome, BTW, was 54-41%, so the LAT/USC survey was right on the money. Everyone who follows California politics knows that in order to win statewide, you not only have to win the vast majority of your own party’s vote – 85-90% or so – but you also have to win the “independents.” That’s because among California’s 17.3 million registered voters, 44% are Democrats, 31% are Republicans and 20% are DTS. If that had actually been the case, Brown would have been in big trouble. But if you looked at party registration, the results were dramatically different: It was Brown over Whitman 73-12% among Democrats, Whitman ahead 73-16% among Republicans and – drum roll please – Brown leading Whitman 55-26% among Decline to State voters. Which is why California analysts – as opposed to those who rely on party identification – understood that Brown had an insurmountable lead going into the final week of the campaign. Furthermore: Want more proof of why party identification is dramatically different from party registration? Take President Obama’s job approval in that same LAT/USC survey. It was 52-43% positive overall. By party ID it was 87-9% positive among Democrats, 14-81% negative among Republicans and just 45-43% positive among independents. But by party registration it was 81-13% positive among Democrats; 19-76% negative among Republicans and 59-28% positive among Decline to State voters. That’s 21-point difference among so-called “independents,” depending on which universe you’re talking about. So read the Pew study of self-identified independents to understand the composition of this growing bloc of the electorate. But if you want to understand the dynamics of California elections, following actual DTS voters is a lot more important.